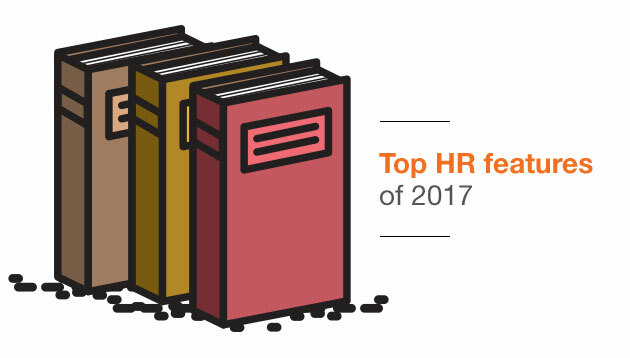 Throughout this year, the Human Resources team has been interviewing a range of HR leaders across sectors to bring to you the freshest, most relevant case studies of their employee initiatives. Here’s a listing of the 10 highest-read features we’ve published – covering topics such as, employee healthcare, gender and generational diversity, learning and development, and lots more. We took it to the experts and spoke to Cotton On Group, Infineon Technologies and Singapore Airlines to find out the 3C’s behind a great corporate wellness programme – contextualisation, control and comprehensiveness. In the past two years companies such as Hasbro, Maybank, Lendlease, Siemens, and many more, have jumped on the bandwagon in offering family-friendly benefits such as longer maternity leave and flexible working arrangements. We speak to HR leaders to find out how it’s done. How Singapore employers such as Singtel, Chope Singapore and TWG Tea, as well as international firms such as Chevron, Symrise and ZEISS are responding to major L&D trends. To help HR and L&D professionals craft a top-notch training plan, we speak to HR leaders from organisations in the region such as Unilever, Liberty Mutual Insurance, TIME Dotcom, and GovTech to reveal the top corporate training trends to watch for. We spoke to PizzaExpress, Ademco Security Group and Telenor to find out how they’re getting their employees’ goals aligned to the organisation’s. Whether it’s managing them right from the start as new team members, improving HR strategies for their current employees, or keeping them engaged. Meet companies that are pioneering the engagement of the mature workforce, such as On Cheong Jewellery and McDonald’s Singapore – be it through redesigned job descriptions, flexible employment contracts or retraining opportunities. Speaking to five expats across varied professions, lifestyles and hometowns; we find out what ticks all the boxes for their ideal serviced apartment in Asia, be it Singapore, China, Thailand, and more. To review the progress of HR technology, we log into organisations for which becoming “digital-first” is not just a top people priority, but a business strategic focus – including Kleen-Pak, Siemens, Citi Singapore, and Nanyang Polytechnic. The future will give rise to challenges different from those we’ve faced so far, and it will arrive sooner than we expect. With the quickening pace of change, we analyse leadership development programmes from Royal DSM, Essilor International, BASF Asia Pacific, Bangkok Bank, and Mastercard. Stretch assignments, secondments and switches – we take a micro view of today’s employee mobility assignments to uncover the ways in which organisations are opting for short-term moves, from employers such as Hootsuite, Kadence, Saatchi, and REHAU. Presenting the association's wish list for Budget 2019, this initiative is expected to counter the SME talent crunch. ..
After two years with Unilever (from 2016 to 2018), its global HR director is exiting the company to pursue new adventures. ..
Additionally, only 60% of all companies surveyed have adequate programmes in place to ensure they were developing a digital workfo..
20% of Millennials are depressed - higher than both Baby Boomers and Gen X. What's going on with the youngest members of your team..